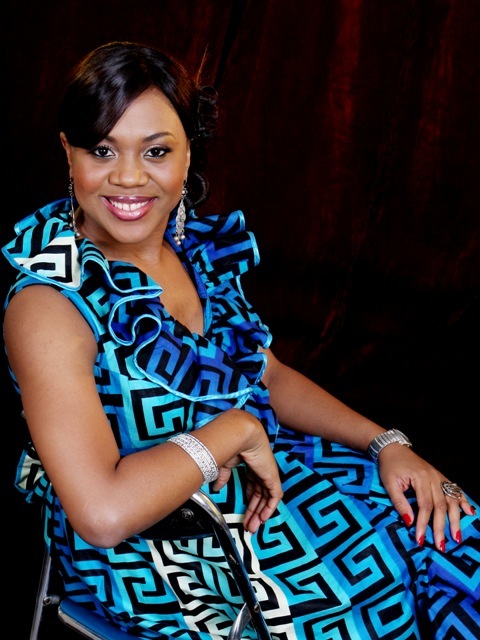 Stella Damasus is one of Nollywood’s biggest and most popular female stars. However, when the lights are out and the cameras are not rolling, this free spirited woman with a strong sense of self and desire to impact the lives of young people is busy building a business empire. A little while back, she told me, why Nollywood’s women must rise up and correct the objectification of women being promoted within the industry. Stella Obiageli Damasus has the regal persona of royalty, a radiant smile, charming personality and an elegant poise, which has won the hearts of many across Nigeria and the wider African community. If it is true that names determine the outcome of one’s life, then Damasus is living proof it. Stella means ‘star’ and Obiageli translates as ‘one who has come to enjoy life.’ Damasus seems to embody all that her names say she is. Yet, she remains grounded, stating that her passion in life is for the youth. “I would do anything to help change the mindset of our young people who are growing into what they see in life. I’m passionate about doing things that will help their minds grow positively. For me, it’s not about stardom but the legacy we are going to leave for those coming behind us.” This is reflected in the philosophy by which she lives. “It’s not about the years in your life but the life in your years and how you are able to affect your generation positively. Your work will speak for you,” she says. Damasus believes if you are alive and not making impact, then you are merely existing and not living. Born in Delta State, Nigeria, Damasus grew up in Benin City and studied theatre arts at the University of Lagos. At 32, she is a mother of two, Isabel, 11 and Angelica, 8; a creative spirit, Damasus is an actress and a savvy business woman with diverse interests in the creative industry. She is President/CEO of Gig Factor Entertainment Consultants, an events consulting firm which specialises in sound re-enforcement, stage designs, lighting and multi-media productions. She is also founder of Stella Damasus Archives (SDA) a production company she started in 2008 with the desire to influence the Nigerian film and television landscape. So far, the company has produced the Stella Damasus Show; a magazine lifestyle programme aimed at women and has film projects in the pipelines. Damasus has been in Nollywood for over a decade and often says she got into the industry by accident. She describes her experience as good and eye opening. “I’m glad to be a part of it because Nollywood is one way Nigerians in the Diaspora have been able to connect with home, even as far as learning languages, nuances and general lifestyle practices.” At a time when the industry is been criticised for its one dimensional and stereotypical portrayal of women, Damasus believes this is the hour those in the industry must stand up and be counted. “80% of Nollywood practitioners are men. So, automatically and by no fault of theirs, they portray us, women, exactly the way they see us. The women in Nollywood are not strong yet. Only a few have been given the chance to do something different. That’s why as many of us women, with the smallest opportunity within the industry need to rise up and correct all the negative impressions and bias. There are a lot of women in Nigerian/African history, whose stories we can make into movies and use to portray the strength of women. We don’t always have to be victims of society or circumstance. We can make movies that portray us in a better light as strong, confident, independent, hardworking and resourceful women. This entry was posted on Monday, January 17th, 2011 at 11:25 pm	and is filed under Africa, Interviews, Journalism, Nigeria, People. You can follow any responses to this entry through the RSS 2.0 feed. You can leave a response, or trackback from your own site. Stella is authentic. I adore her and after reading this piece, I adore her more. She is a lovely human being and from the little I know, honest. That smile is enough to make you warm up to her. her story motivates women to strive for the best irrespective of the society dictates. More power to u Stella! Belinda, this is just one of your wonders. Very beautiful article. Aw one of my favourite Nollywood actresses. She does carry herself very well in her movies.